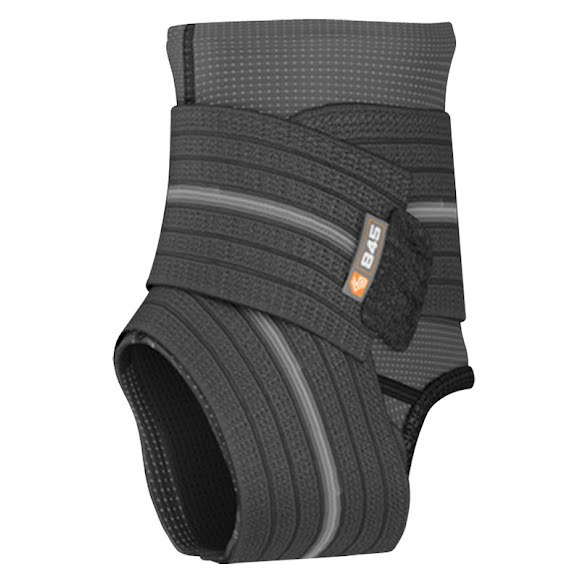 Shock Doctor's low profile Ankle Sleeve with Compression Wrap Support is the solution when moderate support and joint alignment is needed. Designed with comfort in mind, a breathable mesh and N-Tex compression neoprene provide a universal fit and therapeutic warmth throughout your sore ankle joint. Complete with two multi-directional straps, the amount of pressure applied is now in your hands. Shock Doctor&apos;s low profile Ankle Sleeve with Compression Wrap Support is the solution when moderate support and joint alignment is needed. Designed with comfort in mind, a breathable mesh and N-Tex compression neoprene provide a universal fit and therapeutic warmth throughout your sore ankle joint. Complete with two multi-directional straps, the amount of pressure applied is now in your hands. Elastic sleeve design conforms to ankle shape. For cool and comfortable low profile fit.